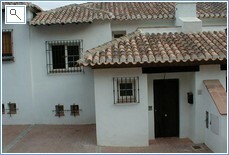 Well equipped 3 bedroom town house, sleeps 6, 3 minute drive from the beach. Entrance hall leading to WC. Stairs down to kitchen and Utility room. 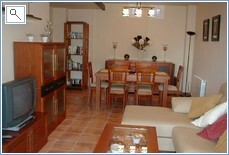 Spacious lounge / diner with table, chairs and sofas for 6 people. 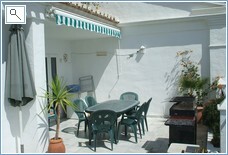 Patio doors lead onto a large partly covered tiled terrace with sun beds and table and chairs . Barbecue. From here there is a beautiful sea view. From the entrance stairs up to the master bedroom with double bed and en suite bathroom with shower over bath. 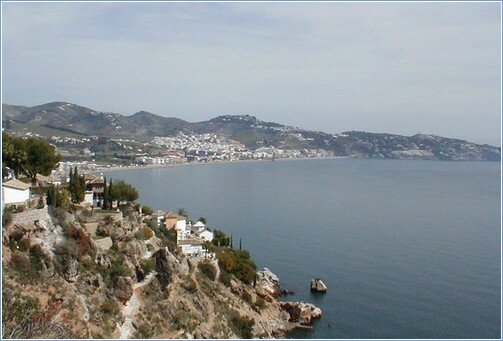 French doors onto balcony to take advantage of the stunning view of the horseshoe bay of La Herradura. 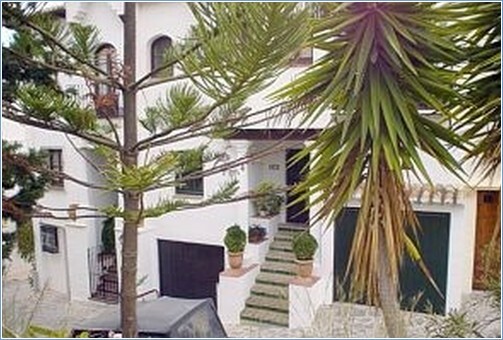 The house is situated in the development of La Aldea (translated as The Village), where each house has been individually designed to create the feeling of a typical Spanish village - no two houses are the same. The communal grounds and pool are beautifully maintained. 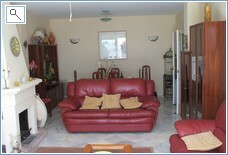 The house has been furnished and equipped to a very high standard with everything necessary for an enjoyable holiday, including partial air conditioning and central heating.